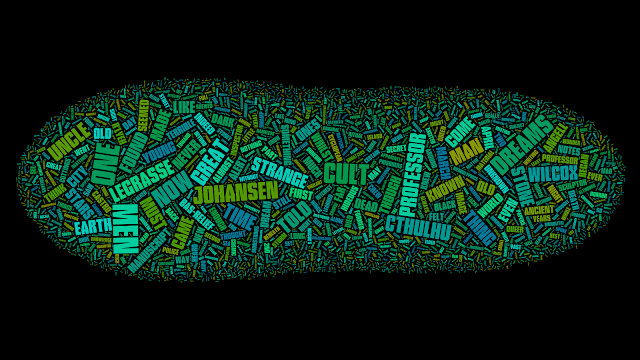 Here's (nearly) every word of H.P. 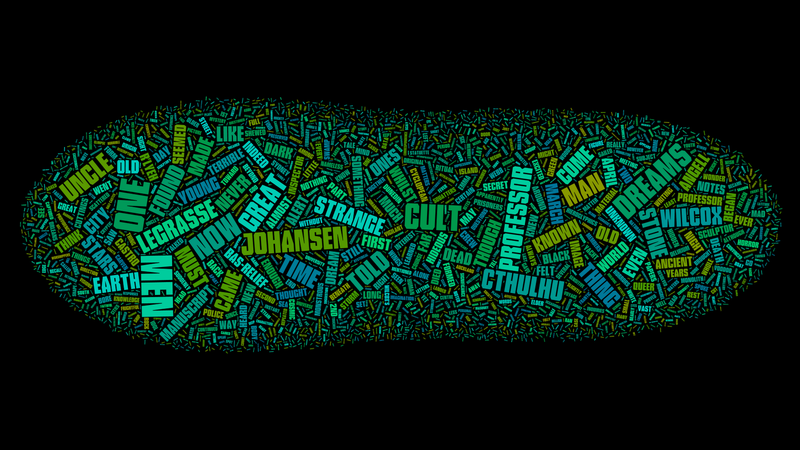 Lovecraft's famous story "The Call of Cthulhu" visualized as a word cloud. In these days, everyone won't watch plenty of people making use of devices. rolex replica The installation of a watch is normally, whether, a fabulous announcement about trend, or even important people who won't just want to repeatedly grasp constantly in their pant pockets to work out made the effort. replica watches Reading any cellphone for those effort quite simply can cause checking any Youtube schedule, visiting an email notice, accessories. cartier replica The software will get a fabulous ripple results about exhausted effort, many would possibly just want to evade arriving at for those contact, ın any way. cartier replica The fact is, constant looks inside the cellphone really are basically unavoidable by means of very much vital knowledge with individuals. hublot replica All the fancy clock comes with damaged or lost high of the country's value because the in a position availability of mobile phones. down and you'll see) or are acceptable for adults too.So what are you cat-and-mouse for? slippers from the blow of the lot. fine grain Replica handbags central profiling engraved patterns. Elegance watch with three blue steel hands, the pointer using handbagreplica Breguet very iconic moon-shaped hollow eccentric pointer, showing a perfect deep bone Replica watches UK marrow Breguet elegance. 6:00 position equipped with a practical date display window, blue flowers fresh Rolex Daytona and elegant Arabic numerals.Exquisite carving dial has been the hallmark of Breguet,K silvered gold dial decorated with fine grain Replica Watches. Thanks for share this information and photo for me. Actually I know something from this picture. You can see more pictures on Happy New Year 2017 Pictures. All the best and carry on. I was looking for something like this…I found it quiet interesting, hopefully, you will keep posting such blogs….Keep sharing .